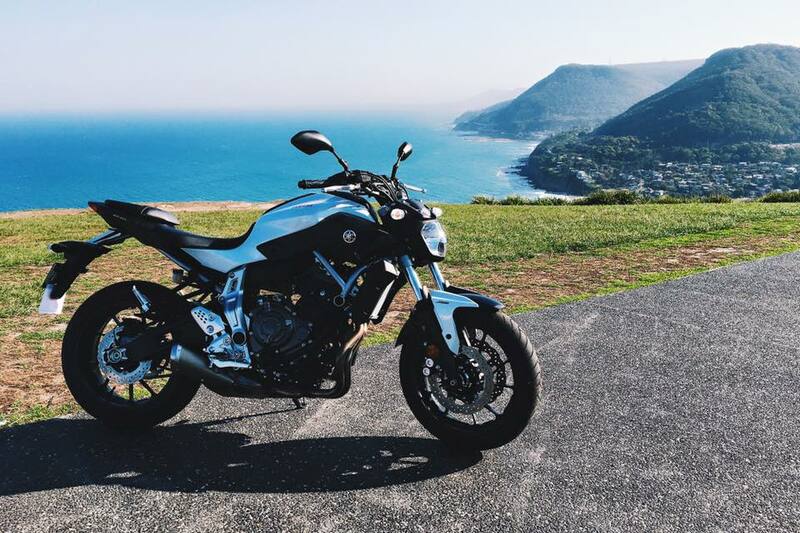 After stumbling over this forum a couple of times while searching for stuff regarding the MT-07 i thought its time to register now and be a part of it. Great little community you guys build here! 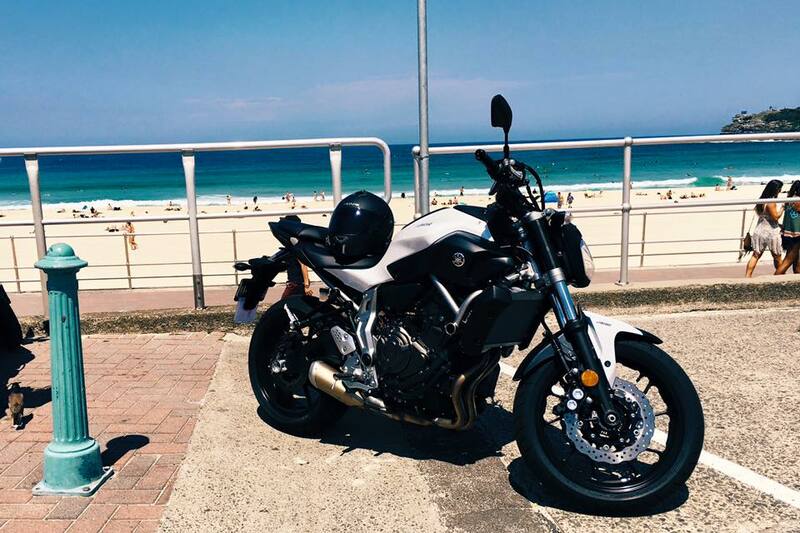 I'm an MT-07 owner from Sydney, Australia and bought my bike 2 weeks ago. Loving it! Starting riding in january this year and been totally addicted. Still completely stock right now, but i'm adding a tail tidy on the weekend and try to fit an usb charger. So, yeah, lot's of work to do! Welcome to the forums, where all things that are good reside. Nice to hear from down under. Aussie Oi. G'day from Queensland. Welcome from SEQ, there are a few Aussies on here, most are friendly enough! Welcome marc! Glad you joined our little group! Marc, are you a LAMS rider or have you been riding a while. Check out the suspension threads. 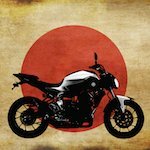 It is THE big weak point of the bike and there is plenty of info here. If you are NOT a LAMS rider and want to get full power, check out my derestricting post re: the intake runners. rear shock . My choice would be Ohlins. I have a nitron and I think it is better suited to track than road. front forks ( springs and damping ) . Check out pattonme's comments on Adrenni's. Matris may be a better option. I had gold valve emulators but and experimenting with pattonme's cartidges. I will have the GVE's, home made GVE piston cup adaptors and the piston rods with opened compression holes for sale as the pattonme cartridges are no reversible. handle bars ( best I have see are the Woodcraft "clipons") I am running Renthal ultralows until I get around to getting Woodies. If you don't go Woodcraft , if you replace the handlebar clamps with over the top ordinary type you will move the bars about an inch forward and help load the front a bit more. Tyres. Michelin Pilot Road 4's in my opinion are the go . I think dunlops and the Bridgeie S23's are too harsh for the road. Make solid bushes to replace the rubber mounts in the footpeg plates. Makes the bike feel more stable. After that what ever you please. Oh yeah and check every bolt and nut. Lots of problems with loose, overtight and stripped fastenings. Mine had a stripped engine bolt for instance. Seen a few loose axles and handlebar clamps from new. Welcome...amazed you still have the awful hero blobs on the footpegs! thanks for the post greg! i started riding in the beginning of this year but already went through quite a few bikes (laro prostreet, cbr250rr, virago 250, gs500f). i upgraded the springs on my gs500f and the difference in handling was just unbelievable. and after my first run through the national park with the mt i realised that the suspension will have to be one of the first mods to it. what rubber mounts on the pegs are you speaking of? gregjet is suggesting the rubber bushes be replaced with solid ones, that's all. ah, thanks 007! any idea where i can get them? haha dav, yeah, im gonna remove them probably tomorrow. they hit the ground while in the twisties way too early! Marc, I would suspect you'll have to get a machinist to make them... however gregjet may know of a stock bush that will do the job. Good luck. I turned my own. It makes a noticeable difference to the feel of the bike in and out of corners. Same with the ones in the handle bar clamp mounts. 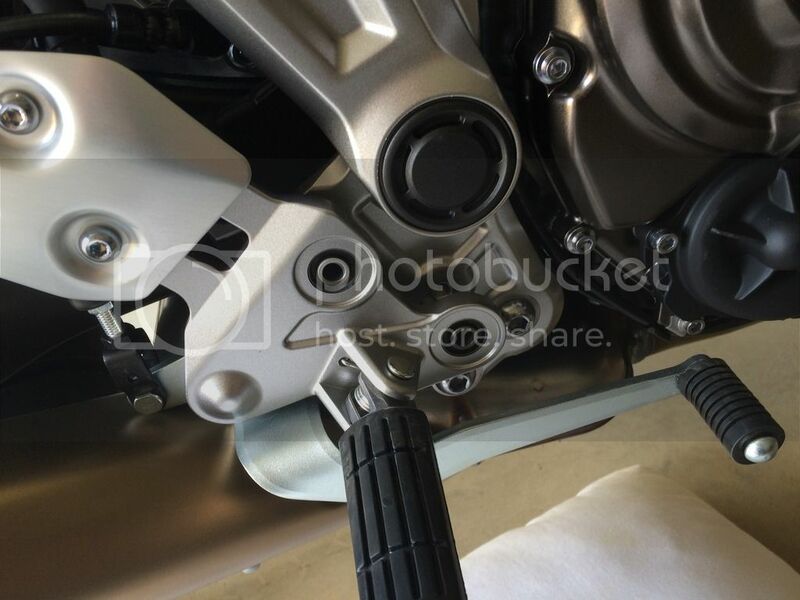 The bike has no noticeable unpleasant vibration so most of the usual anti-vibration fittings are superflous. I think they just chuck em on as a matter of course during design. Same goes for the handlebar weights, although they do help protect the handle bars from damage in falls. I made little hat bushes. Quick and easy. From aluminium. Thanks for the picture 007. That is a good range of motorcycles you had. From the insane to the sensible? The little CBR250RR is a fantastic track bike and IMHO a truly aweful road bike. The perfect example of the different requirements of the 2 types of riding. I raced one for a while and kept thinking this would be horrible on the road. The wonderful GS500. This, and the VTR250, are probably what I regard as the perfect beginner's bike. Fun, light, fast enough, stop and handle well enough. You made some interesting choices. And the 250 Virago. At least you know why cruisers are .....er....cruisers. Just be careful of the MT07. It has some traits that I believe make it not such a beginner bike. Suspension need work urgently. I see you already had enough sense to suspend your GS500 and you will get as big , if not bigger, value for money doing the same to the MT. I don't know if you toured you GS500 ( they are very good tourer. Proof that tourers don't have to be huge)) but the MT is actually better, if a little short. Welcome and have fun. BTW I have for sale for $150, a set of Gold valve emulators, valve cup adapters ( home turned) and already drilled piston rods with spare compression springs that I had on my MT before I put Matt's cartridges in. They are already set up and a simple bolt up, though you will have to shorten the spring spacer a equivalent amount. I swapped to Matt's before I found a post with better setup instructions. Probably would not have got the cartridges if i had seen them first. Post at your expense. I recommend you get better springs unless you are less than 75kg to go with them. Here they are, though I now have put the blue adjuster springs on then and added seals to the cups and valves. The original yellow adjuster springs come with it as well. any chance to get these bushings from you? i never did very long trips on the gs500, mostly commuting and weekend twisties. doing the snowy ride this weekend on the MT-07 tho, pretty excited. Sorry but the spacers are just me stuffing around. Not going to manufacture stuff. If you are going to ride those roads you might consider Michelin pilot road 4's. Fantastic road tyres in ALL weathers. And way less harsh than the Bridges.